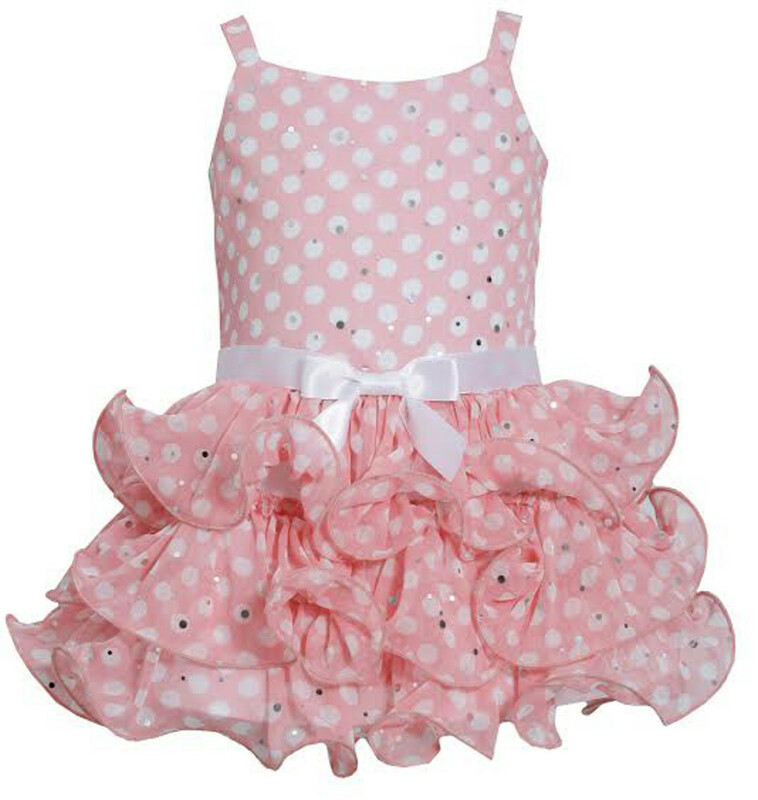 This adorable shoulder straps dress is so versatile and one that is a closet staple for your little one. Dress comes with a satin ribbon and bow trim at the drop waist. The spangle chiffon tiered, wire-hem skirt gives this style lots of pizzazz!